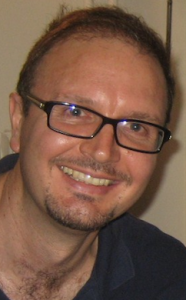 Stefano Barbieri received his PhD in Physics in 2000 at Scuola Normale Superiore (Pisa, Italy) In 2000, he joined as a Research Scientist Orbisphere SA (Geneva, Switzerland), where he focused on the development of gas-sensing systems based on laser photo-acoustic spectroscopy. In 2002, he joined TeraView Ltd. (Cambridge, UK) where he coordinated an R&D activity focused on THz QCLs in collaboration with the Cavendish Laboratory, of Cambridge University of Cambridge. In 2004, he was awarded a three year Industry-fellowship from the Royal Society aimed at promoting technology transfer between industry and academic institutions. In December 2005, he was recruited by CNRS in France. From 2005 to 2016 he has been in charge of THz research at the MPQ Laboratory at the University of Paris Diderot (Paris, France). He is presently a member of the THz-Photonics group at IEMN (Lille, France).